Who here is ready for a giveaway? Better yet, who is ready for a giveaway that includes Rubbermaid products? I mean seriously, who doesn't LOVE Rubbermaid containers? I know I do. All you have to do is enter your information in the giveaway below and you will be entered to win a 3-Piece Rubbermaid Fresh Works Container Set! Simple, right? But wait... There is MORE! Because I love you all, I will also be sharing a delicious recipe, that I personally cannot wait to try. Doesn't' this Spinach and Chicken Pasto Salad look INCREDIBLE! Okay Okay, here is the Recipe and Giveaway! 1. Cook Pasta according to instructions on box. 2. Mix all ingredients in with pasta and chill for at least 1 hour. One (1) winner will receive: a 3-Piece Rubbermaid Fresh Works Container Set. Ends 5.13.2017. US Only. These would come in handy for summer, lots of fruits and veggies! I like that the Rubbermaid Fresh Works Produce Savers keep produce fresh longer. These would be great for storing berries. I think these sound amazing! Love that they are BPA free. We eat tons of fresh produce and I love that these containers can help keep them fresh longer. We always have fresh beans, strawberries and blueberries from the garden. I love fresh berries of all kinfs, but especially blueberries, strawberries and blackberries. 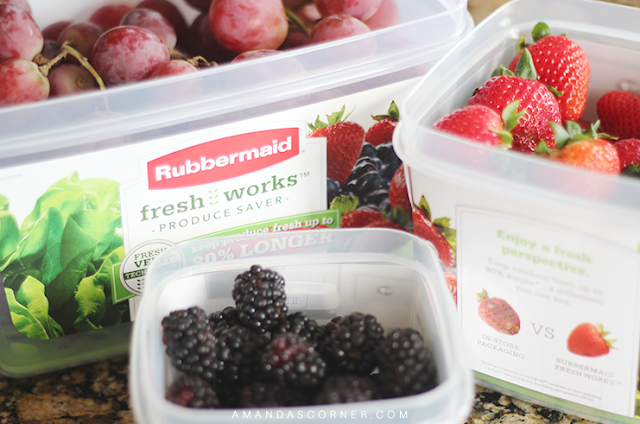 I can't wait to try out these Rubbermaid containers to find out how much longer the berries will stay fresh. Thanks for this giveaway! I can't follow Amanda's Corner on instagram. I am apparently blocked. I would appreciate if she can unblock me since I have done nothing to be blocked. Hi Deborah, I'm not sure why you can't follow my Instagram account. I have 3 users blocked on IG which are all spam accounts who have left those "follow me to gain 1000 followers" comments. May I ask what your IG username is? Maybe I can find you? I'm sorry for this confusion. I could really use a product to help keep our produce fresh - I hate throwing away produce that we didn't eat in time! I love that there is a barrier between the produce and the moisture on the bottom. These sound great! I would love to use these to extend the life of my fruits and veggies. Thanks! I would love these for salads. 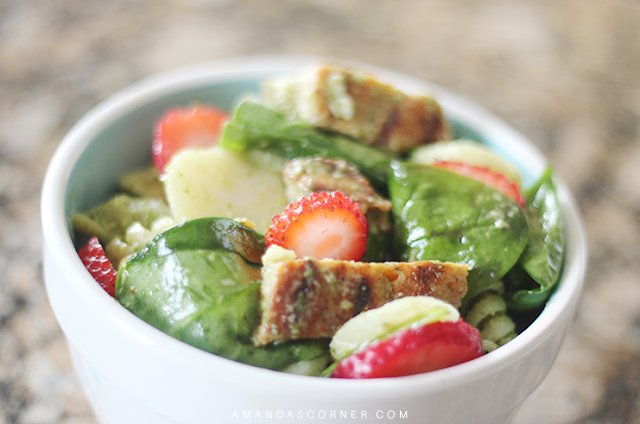 We eat a lot of salads specially in the summer. Not sure if I am suppose to comment daily or not but I can't tweet without entering a comment. I would love to try these specially with the summer coming up. We eat a lot of veggies in the summer. I throw away too many veggies so these will save me some money and love that they are dishwasher safe. Rubbermaid Freshworks containers would save us money on groceries, and cut back on how much we throw away due to spoilage. I hate to waste food. This would be great. I went to get our bell peppers put for dinner and they were moldy. Yuck.